Today we will be touching the surface of what Vue directives are all about. First things first. What are directives? These are special instructions that change the behavior of the HTML elements when attached to them. In other words, these are special attributes attached to the HTML elements which change the behavior and provide control over the DOM based on the value of its expression. Vue comes with a few built-in directives. Note that we can write our own custom directives which we will see later on. These directives can help us in many situations. In our tutorial series, we will be working with all these directives in detail. For now, let us look at the working of v-once with a code example to get a feel of how directives work in general. 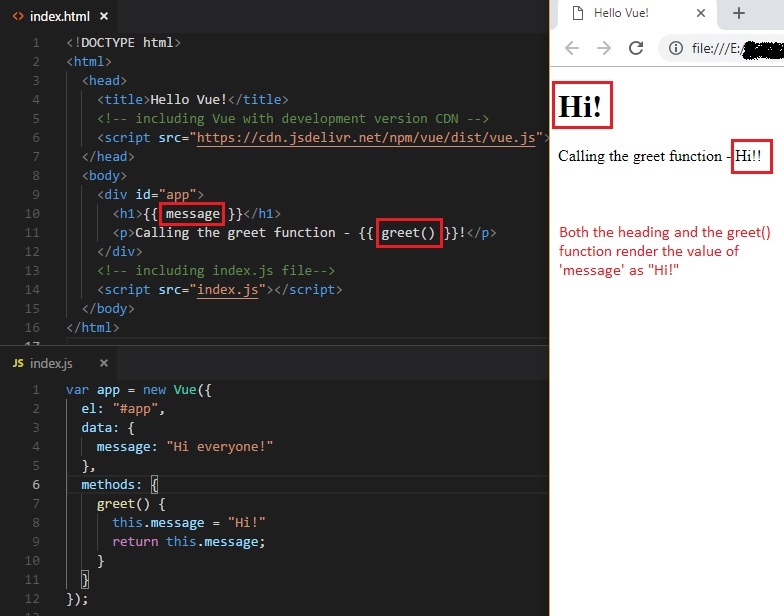 Both the heading and the value returned by the greet() function will be “Hi!” because all the occurrences of message will be re-rendered once its value is changed. That’s the default behavior. But there can be situations where you might want to display the initial value of a property even though it changes later on. This is where directives come into place. 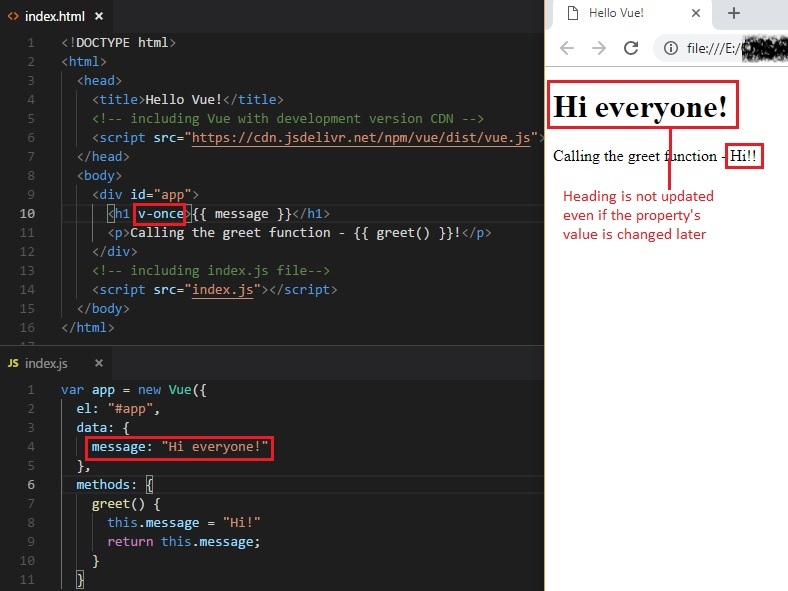 Here in our scenario, we wish to display the initial value of the message property, “Hi everyone!” as the heading. So, by adding the directive v-once to the <h1> element, all the content inside of that element will be rendered only once. It will not be updated when it is changed later on by the greet() method in the <p> element. As always, all the code files are available in the GitHub repo. Please feel free to fork your own copy to experiment with v-once directive. Don’t forget to let your imagination run wild. See you soon!